On March 12, 2019, a $4.2 million settlement was submitted to Los Angeles Superior Court Judge Elihu M. Berle for final approval, bringing an end to a proposed class of housekeepers employed by Marriott International Inc. (“Marriott”) who alleged that the hotel chain violated California Labor Code §226.7, 226(a) and 2698 and violated the Labor Code Private Attorneys General Act when it failed to provide class members rest periods during the work day.The suit was filed by named plaintiff Maria Aguilar in June 2013. 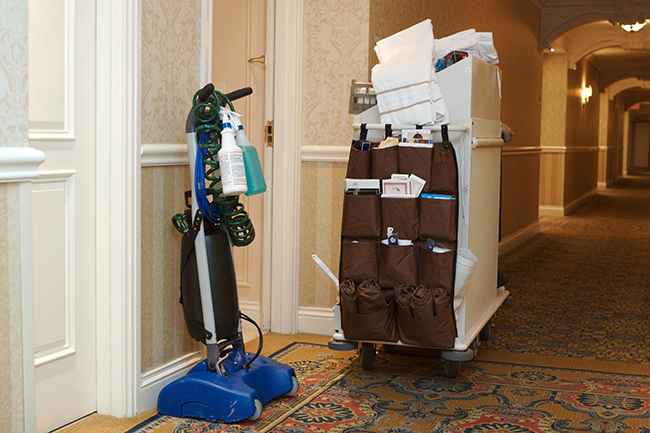 Plaintiff has been employed at a Courtyard by Marriott hotel in Torrance, California since 1996 as a housekeeper, house aid and laundry room attendant. During her employment at the defendant’s hotel, the plaintiff claims she was not allowed proper rest breaks nor was she issued a properly itemized wage statements. According to the terms of the settlement agreement, 70% of the $2,664,667 net settlement amount will be allocated to the Wage Settlement Class and 30% of the net settlement amount will be allocated to the Rest Period Settlement Class. The Wage Settlement Class is made up of all persons who worked for Marriott in California as non-exempt employees from June 2012 to January 2013; the Rest Period Settlement Class is defined as all persons who worked for the defendant hotel chain in California as a housekeeper or house aide at any time between June 25, 2010 and November 20, 2018. The amount of damages received by each class member will vary depending upon the number of weeks worked during the defined class periods. The max amount a class member can receive is around $2,820, with the average payout being around $930. The case is: Maria Aguilar v. Marriott International Inc. et al., Case No. : BC513197, in the Superior Court of the State of California for the County of Los Angeles.